Can You Use Body Soap as Shampoo? Cleansing is an important step in our hair regimens. It allows us to remove the dirt and oils from our hair and scalp. It also gives us a fresh slate when styling our hair. Our products are able to penetrate our strands and give us the desired results. Some cleansing methods include, but are not limited to rinses, shampoo and cleansing conditioner. We have all been in the scenario when we run out of shampoo during the middle of a wash day. Have you ever glanced at your body soap and considered using it to wash your hair? Body soaps are used to cleanse the body and shampoo bars are used to cleanse the hair. But should we use body soap for our hair? Can you use a body soap on your hair? Randy Schueller, a cosmetic chemist and one of the founders of The Beauty Brains, shares “Body soap bars are fine to use if you like the way they make your hair feel but they are not fully optimized for hair the way liquid shampoos are. Therefore they may provide a different feel during cleansing and they will not provide the same degree of conditioning as a moisturizing shampoo”. What are the differences between shampoo and body wash? Authors Fenbao and Dr. Zhang say, “Shampoos are made for specific hair conditions such as dryness, oiliness, damage from color treatment, frizziness, etc. Each function uses different ingredients designed for hair and not skin.” They also specify that the pH-level for shampoo is between 4 and 6. With the variety of shampoo formulas and ingredients offered, you can select one that will work best for your specific needs. Fenbao and Dr. Zhang go on to note that “Body wash contains milder surfactant bases than shampoos. In addition to being pH-friendly to the skin (5–6.5), most also contain gentle conditioning agents in the formula.” Body wash can also be an option for curlies, especially since it can contain milder ingredients than shampoo. Both body soaps or shampoo bars can be used for cleansing the hair. However, it is best for you to choose what makes your curls happy. Your curls may need specific ingredients for your hair type and the condition of your hair health. Choose the best cleansing product that will gently cleanse your hair without stripping its natural oils. No matter what cleanser you use, it is best to follow with a conditioner to provide your curls with lasting moisture. 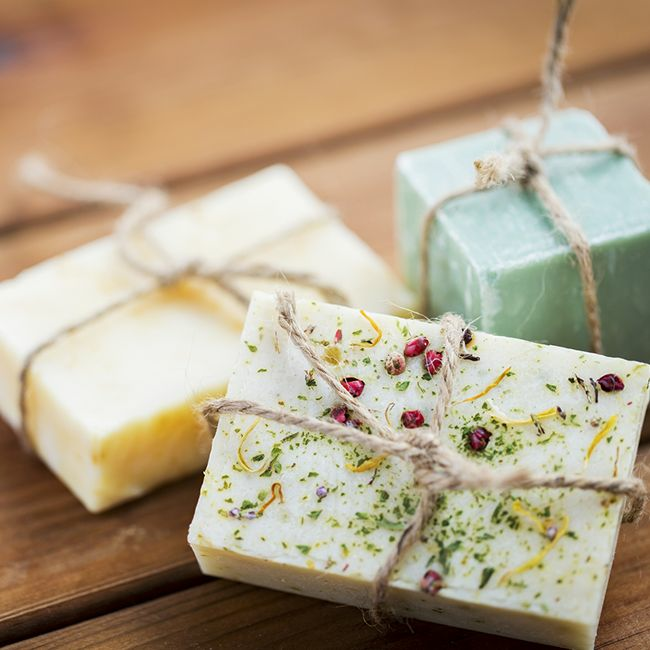 Do you incorporate body soaps or shampoo bars in your regimen? Which method would you prefer to use? Please share with the curly community. Check out these top 15 shampoo bars that you can include in your regimen. If you're a DIY-er, then make your own shampoo bar just the way your curls like it.